I knew it was coming: although I tried not to, I’ve overdone it a bit on Christmas and now I feel a little Scrooge-ish. Today I’m going to try to do some regular stuff and not feel like I have to be Christmasy. That includes blogging, taking a long walk, and maybe even a pedicure. This is bad timing considering I have a lot of baking and crafting yet to do. But hopefully if I just chill out for a day, I’ll get back in the spirit. Wednesday, the kids and I went to the craft store and ShopRite to get baking and crafting supplies. At Jo-Ann Fabrics, I found the 20% off coupon I wanted to use after I checked out, so you damn well better believe the kids and I circled back to the start of the line, waited again, returned everything, and re-rang it up with the coupon. Was it worth $8? Yes (only because the store wasn’t that crowded). That was quite a trip, all in all. By the end, at ShopRite, I made the kids hang on to each side of the cart and literally ran up and down the aisles so we could get done faster. 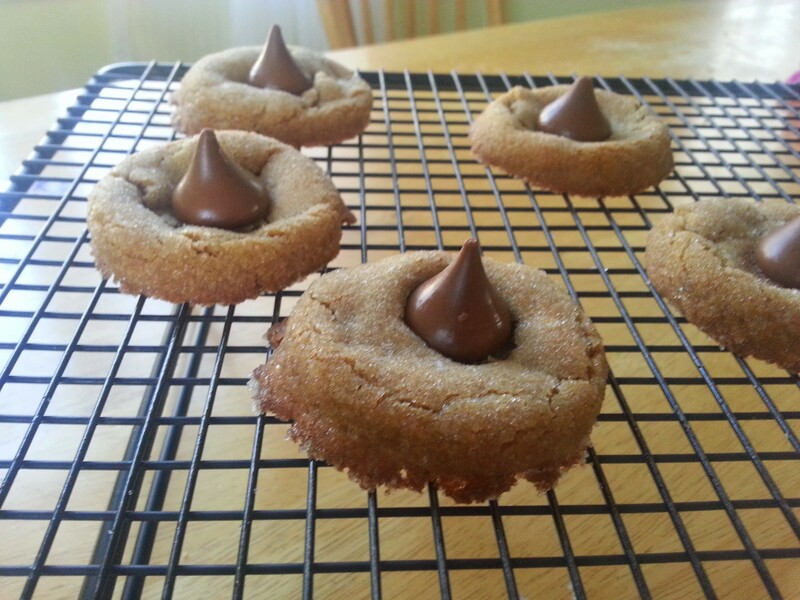 Yesterday (Thursday), I made gingersnap dough using my aunt’s recipe, which is now chilling in the fridge, and also those peanut butter-Hershey Kiss cookies. I made up a tin of those cookies for the crossing guard and will deliver those to her today. I have plenty of cookie tins from past years. I’m in the Lady Lair right now with a space heater going, my coat on, a Wawa latte, and some of the peanut butter cookies, and I can tell you they turned out delish. I would like to also make sugar cookies to decorate with the kids, some sugar cookies to decorate by myself, and those Neiman Marcus double chocolate cookies, since I need cookies for about 4 more gift tins, for Christmas Eve and a family party on Dec. 28th, and just for us. But that may be too ambitious. Oh yeah, I also signed up to make cupcakes for my son’s party on Tuesday. 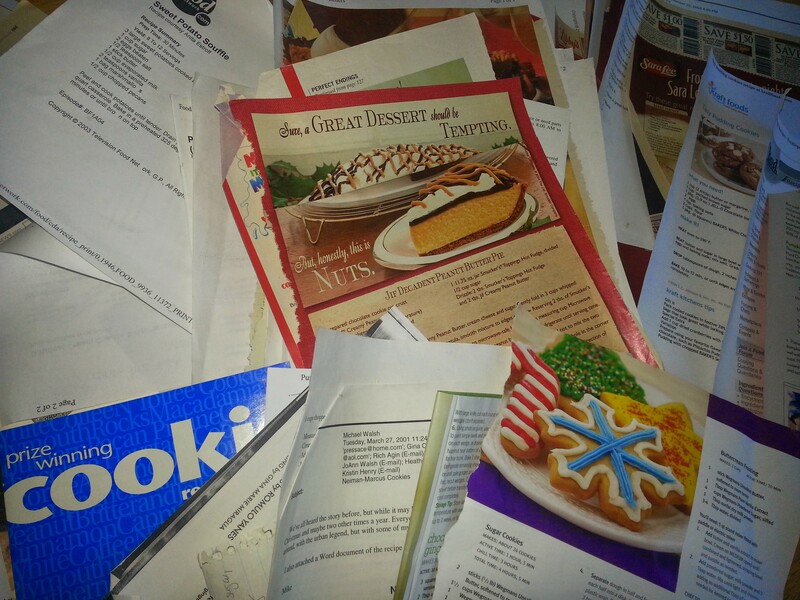 These recipes include ones ripped from magazines, mailed to me by my mom, printed out from the Internet, handwritten by me as a preteen who was interested in baking, and quite a few that were emailed to me from my co-workers at my first job out of college in the early 2000s. It’s always a fun trip down memory lane. Despite the busyness, we ate at home every night this week. Some nights I had the takeout menu in hand, but I gave myself a little pep talk and shoved it back in the drawer. Usually, once I get past the hard part of deciding what to make, and the pork chops are sizzling or the rice is sautéing, a nice feeling of peace and satisfaction descends. Monday: meatball sandwiches with meatballs leftover from Sunday dinner. Tuesday: pork chops, corn, broccoli, salad, mashed potatoes from freezer. 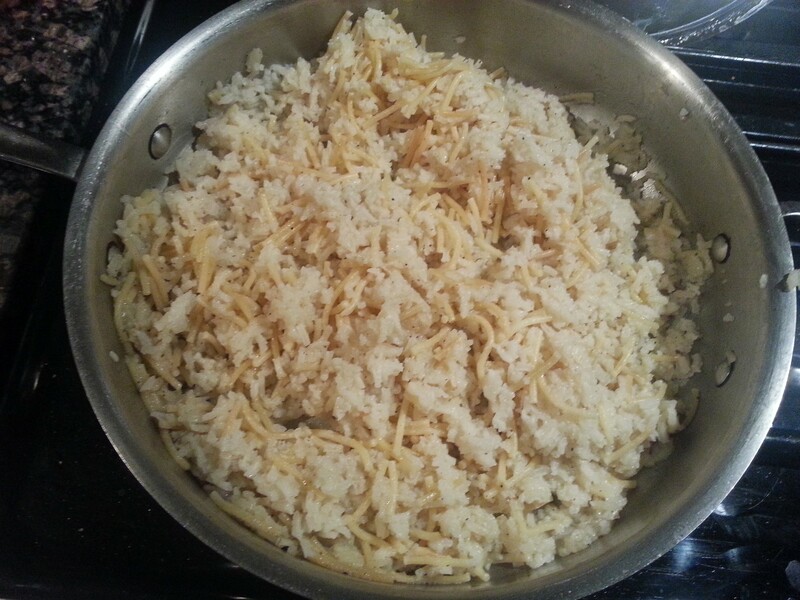 Wednesday: “scrounge” night — I had just salad, kids had chicken soup. 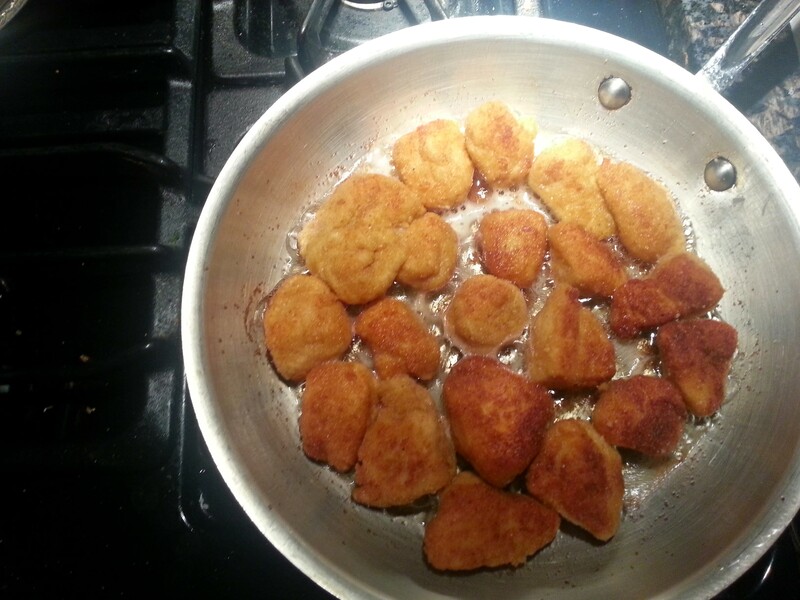 Thursday: homemade chicken nuggets, homemade rice-a-roni. Tonight, we might go out for pizza and try to find a Santa’s lap to sit on. 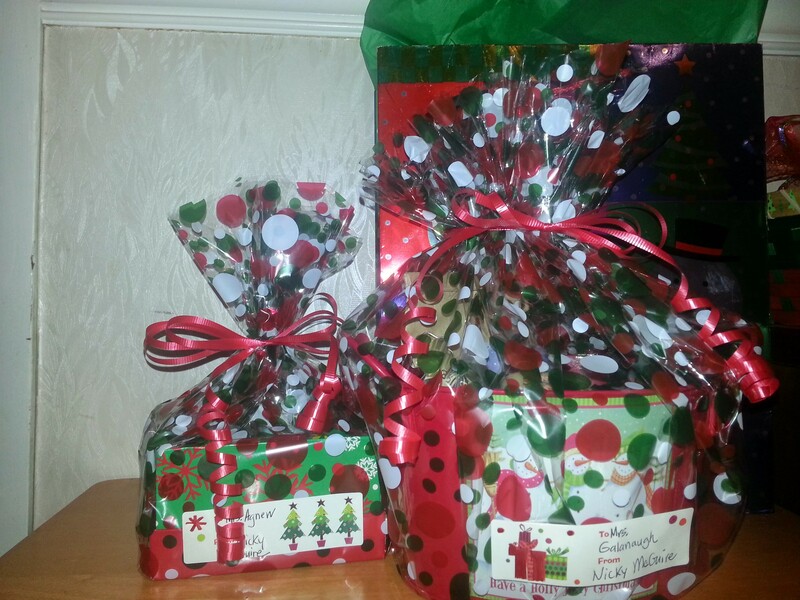 I finished the three teacher gift bags/baskets. They look good and have a good mix of bath stuff, lip balm, etc. So as far as gifts go, now it’s just the baking, the crafting, and my husband. Someday I will get him to come around to my way of thinking, which is that grownups don’t need to buy each other gifts to show their love. Especially very busy grownups who barely have time to take showers. This weekend = the aforementioned baking and crafting and two holiday parties. Next week = stuff for kids’ Christmas parties, and cleaning and prep for Christmas Eve. 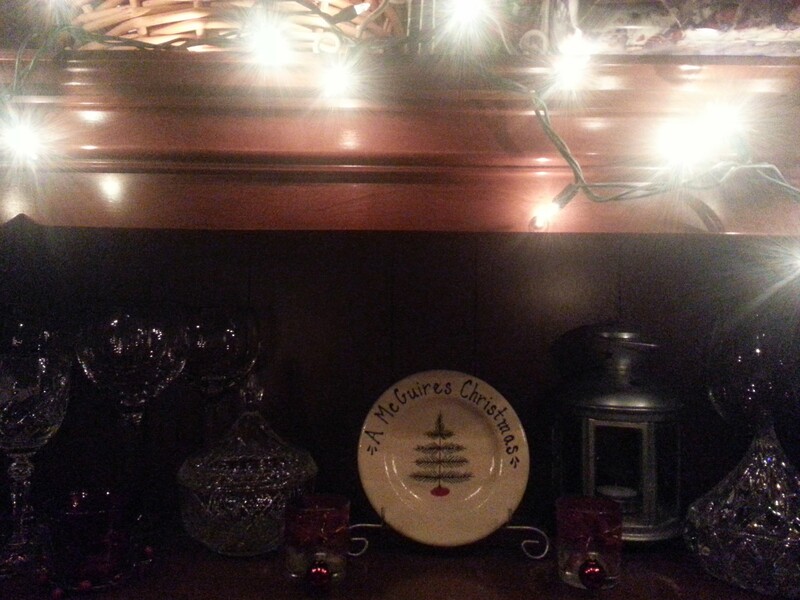 If I don’t blog again before then, happy holidays from our house to yours!